About the Centre Health service is one among the many services provided by the Tirumala Tirupati Devasthanams, Tirupati to the public in the name of lord.Â To provide the most advanced Medical care to the poor and the needy at an affordable cost, the TTD, Tirupati has established Sri Venkateswara Institute of Medical Sciences (SVIMS) in the year 1993 and became University by State Act in the year 1995.Â Its Major objective includes service, training, education, academic development and research in advanced medical sciences and technology. 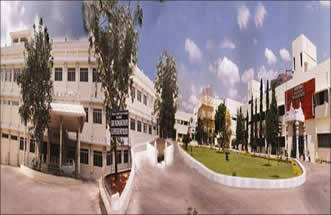 The Department of Biotechnology and Bioinformatics was established in the year 2003. Our university is first of its kind to start post graduate course in Bioinformatics in the state of Andhra Pradesh. It fosters research and developmental activities in major thrust areas like Sequence Analysis, Molecular Modeling and Drug Designing. The DBT, Ministry of Science and Technology have approved a Centre for Bioinformatics Infra Structure Facility in the Department of Bioinformatics in Centre for Advanced Research of our University for the promotion of Biology teaching through Bioinformatics as a part of National Bioinformatics Network. The Bioinformatics Infrastructure Facility was established by the Department of Biotechnology, Government of India in the year 2006 and the facility is housed in the Bioinformatics Building of the SVIMS University. This facility is having 2 Mbps broadband internet connectivity through BSNL and has high/medium end servers and state of the art desktop machines and software required for teaching and research in Bioinformatics.